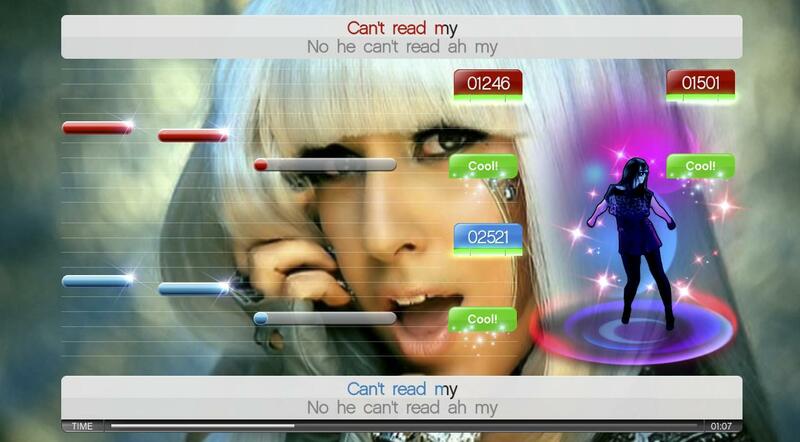 Introduced back in 2004, SingStar has become much more than a household name to PlayStation owners. The karaoke title is the Party game of choice for anyone that finds Guitar Hero and Rock Band just a little too complicated at 3am following a night out. Sony have pushed the series as far as it can go on PS3, with voice control, movie creation, wireless mics and the impressive selection in the SingStore being the most notable improvements over the PS2 titles. With no new disc versions released since 2009’s SingStar: Take That, the developers have upgraded the game in two new ways: Guitar and Dance. Obviously, the second of these makes most sense, despite the first being as simple as plugging in a Guitar Hero guitar, but is this the first must have PlayStation Move title? For starters, anyone expecting the level of dance accuracy seen in Xbox 360 Kinect title Dance Central will surely be disappointed with the move detection here. It’s much more like Just Dance on Wii. Though at first this can seem disappointing, it doesn’t take long for you to realise that much like the singing part of the game, the emphasis here is on fun, rather than technical accuracy. SingStar has always been more about the experience than the gameplay, the scores on screen being little more than confidence boosters for those with more ‘original’ singing voices. With that in mind, the ‘gameplay’ here revolves around the PlayStation Move controller, the on screen dancer prompts you to re-enact moves inspired by, or directly taken from, the music video you are watching. The most obvious example of this being when playing Pussycat Dolls ‘classic’ Don’t Cha. This is definitely where the game is strongest, emulating dance routines videos is just the sort of thing most kids do when not quite old enough, or just too voice conscious, to enjoy the singing side of SingStar anyway. These modern tracks, such as Lady Gaga’s Poker Face, despite being an ‘original’ dance, are all the better for the extra boost dance gives to them. The developers have done a good job of keeping the on screen prompts small enough that those watching or singing can still enjoy the full videos in high def on the screen. Dance aside, it’s important to judge whether the 30 tracks on offer here are worth buying into, rather than sticking with the now small, but soon to be improved Dance offerings in the SingStore. For starters, Dance has the fewest ‘new’ songs of any PS3 release so far, and while this may be due to just how extensive the SingStore has become, repeats make up about two thirds of the track-list. 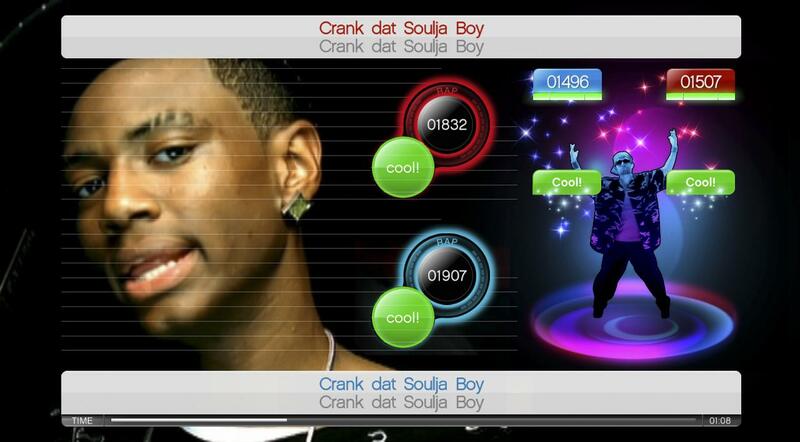 The new songs are perfectly suited to Dance though, Soulja Boy’s Crank That would be intolerable if it just had vocals, but with dance, it becomes one of the game’s most enjoyable songs. The same goes for Pitbull’s I Know You Want Me, a song with lyrics so painful it’s probably best to stick with the dance moves instead. Overall the track list is strong, songs like Celebration, U Can’t Touch This, It’s Like That and Bye Bye Bye all brining something unique to your SingStar Dance party. The SingStore already contains two must haves too, as Baby One More Time and Fight For This Love have been upgraded to include Dance gameplay too, with the 49p price tag for the upgrade being relatively cheap. The biggest compliment I can give SingStar Dance is that, despite brining new ‘gameplay’ to the table, no matter what anyone says the points you score are hardly affected by your dance moves, it never detracts from the solid, well tested Karaoke experience SingStar has been renowned for. Both updates, Dance and Guitar, simply add to the experience, making some songs much more enjoyable, whether you wanted to enjoy Soulja Boy in the first place or not. With repeats from other games and the SingStore though, this is only essential for veterans; most will be happy upgrading the songs they already have.